How Does Self-Service Make Your Help Desk More Efficient? 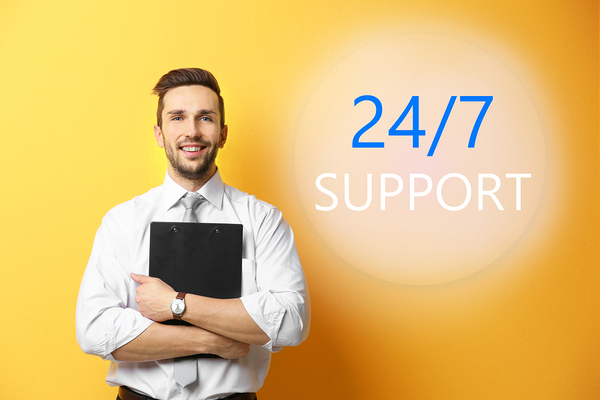 Everyone wants their IT help desk to be more efficient. However, that’s a difficult goal to achieve. Service desk employees are swamped by requests, many of which aren’t critical. Self-service is the answer. It enables users to solve their problems faster, while freeing up time for service desk employees to handle matters such as security and maintenance (which are of greater value than password resets). Read on to learn how automation makes service desk management more efficient. When it comes to self-service, there’s a prevalent myth that circulates: people only want to deal with other human beings. We’re not sure where this bit of lore sprung from, but it’s not true. According to information at Forrester, "...customers just want an accurate, relevant, and complete answer to their question upon first contact so they can get back to what they were doing before the issue arose." In other words, people prefer the course that is fastest and with the least friction. Self-service communication channels via ITSM automation can provide what people want. Why is that? The answer isn’t hard to find; think about the normal workflow of a help desk. A user either emails, calls, or fills out a help desk ticket. That ticket could sit in a queue for hours, if not longer, until a help desk representative gets around to assessing how critical it is. Based on the ticket’s urgency (or lack thereof), it could take longer for someone to deal with the ticket. Who wants to be in such a situation? People want their problems to be solved quickly. ITSM automation is the way to do that. Learn how smart automation is improving ITSM self-service for the end user and more. How Does ITSM Automation Work? To understand how ITSM automation makes service desk management more efficient, we’ll take a look at how it works. Let’s say Mike needs a password reset to get into an application. He opens up a chat with a chatbot or navigates to the self-service portal. Mike types in a description of the problem into the self-service portal or chatbot window. The chatbot or self-service portal searches in its database of previous tickets to find the solution to Mike’s problem. Because AI-enabled ITSM solutions constantly learn from past help desk requests, they get better and better at solving issues. Within a few moments, the chatbot or self-service portal finds a link that allows Mike to reset his own password. It's not surprising that an increasing number of businesses are adding self-service communication capabilities to their help desks. Not only does ITSM automation shatter the myth that people would rather deal with other people, it makes the help desk much more efficient. When people can solve their own problems, especially when those problems aren’t mission critical, help desk employees can devote themselves to more valuable tasks. Imagine a help desk at which backlogs are a thing of a past. That situation isn’t a dream – it’s obtainable through service desk management automation. Putting an AI-enabled service desk management solution in place saves your help desk employees and the rest of the organization time. To learn more about how ITSM automation makes service desk management more efficient, read the ebook 7 Reasons Why AI Will Change Everything on Your Service Desk.